With Google continuously rolling out new updates to their YouTube marketing platform, it can be hard to stay on top of the latest variations to ad formats and their potential impacts on your video marketing performance. When you search for information on YouTube ad formats, you’ll probably land on a Google support page that lists out each available format but adds no context on why you should use one format versus another. This guide will make it easy for you to determine which formats you should use. There are six ad formats available, but the most commonly used are Trueview In Stream Ads, Trueview Discovery Ads, Non-Skippable Ads, and Bumper Ads. While it’s helpful to know what each ad format is called, where it appears, and what it looks like, it’s equally important to know which of these formats is best for you and how to use them effectively, given your marketing goals. TrueView in-stream ads are skippable ads that play before or during another video from a YouTube creator. After viewers watch five seconds of your video ad, they have the option to either continue watching or skip the remainder of the ad. These ads can be tailored based on your goal. The goals available for campaigns on the YouTube network include sales, leads, website traffic, product and brand consideration, or brand awareness and reach. This initial goal will determine the ad formats and bid strategy that you should use. It will also determine if you should use one of the subtypes of in-stream ads available — TrueView for Action or TrueView for Reach. TrueView for Action is focused on driving action in the form of website conversions and utilizes fully automated bidding — either Target CPA or Maximize Conversions. You should consider using TrueView for Action if your goal is to drive website traffic and conversions. With TrueView for Action, you can display a branded banner with a tailored call to action at the base of the video while it plays. Compared to a regular in-stream ad, the engagement period is shortened from 30 seconds to 10 seconds, so you pay once a viewer watches at least 10 seconds of your ad (or clicks on an associated creative banner or overlay). If you have a product that appeals to a wide audience, and your goal is to generate brand or product awareness, you should try TrueView for Reach. Google launched TrueView for Reach in April 2018, giving you the option to change your bid strategy from CPV to CPM (cost per 1,000 impressions). With TrueView for Reach, your ad must be between 6 and 30 seconds, and Google optimizes towards maximizing impressions to reach a wide audience quickly. It’s easy to get bogged down by the plethora of naming conventions that Google uses to brand its various ad formats, but the most important thing is to start with your campaign goal, because Google’s interface will then narrow down your options based on that goal. If your goal is to drive leads, Google will guide you towards the TrueView for Action format. If your goal is to drive brand awareness and reach, Google will guide you towards TrueView for Reach. TrueView discovery ads, previously known as in-display ads, appear as “recommended” videos on the YouTube homepage, or as recommended or related videos on the YouTube search page. Video Discovery ads can have a 25 character-limit headline, and the body copy can contain two lines, each with a 35-word maximum. 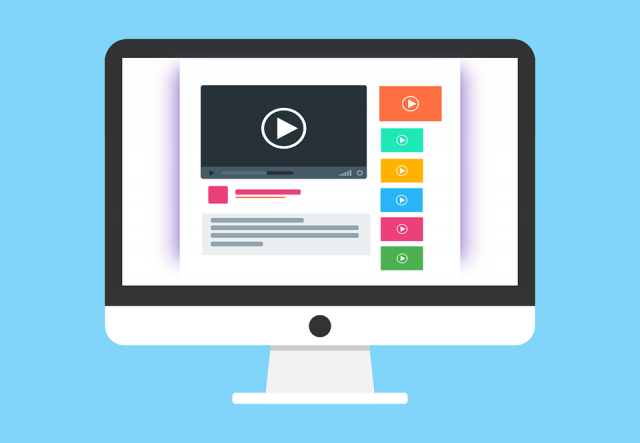 Discovery ads are great for generating product and brand consideration because when a viewer clicks on your ad, they’ll be taken to your YouTube channel to watch your associated video. You pay on a CPV basis, but with Discovery ads, a click to watch the video is considered a view. And while you can add CTA overlays on the video itself, Discovery ads are best for getting users to watch the video and learn about your product, rather than immediately clicking to the website. Non-skippable ads are great for demanding the viewer’s attention, as they can appear pre-, mid-, or post-roll while watching videos. Google serves these 15 to 20 second ads when they believe viewers are most likely watch, and you pay on a CPM basis. Because users have to watch the full ad in order to continue viewing content, these ads typically have higher CPMs than other ad formats on YouTube. For these reasons, we typically only recommend non-skippable ads to larger advertisers willing to spend more to generate brand and product awareness. Bumpers are the shortest type of YouTube video ad at just six seconds in length, playing in a non-skippable format before viewer content. To make the most of these six seconds, you need to grab the viewer’s attention and convey your brand effectively in a very short amount of time. Due to the time constraint, bumper ads are commonly used to hype up a product launch or promotion, or to reinforce a message from a longer TrueView ad. You can also string multiple bumper ads together using ad sequencing to tell a longer story. Remember, in selecting any ad format, start with your goal, then the rest will follow. If you’d like to get started with a YouTube marketing strategy, contact the Metric Theory team today.